This entry was posted on October 8, 2015 at 7:00 am and is filed under Baseball. You can follow any responses to this entry through the RSS 2.0 feed. You can leave a response, or trackback from your own site. Hey, this is great, V, although I wouldn’t consider “Poor Poor Pitiful Me” a country song. That was by Linda Ronstadt. Did they play that on country stations out there? The part about “Back In The Saddle Again.” Too bad the California (what is it this year, Anaheim Angels, Los Angeles Angels?) didn’t get that award, for an obvious reason: Gene Autry. I’ll never forget–I was at a Yankee game at Yankee Stadium in 1976, Ed Figeroa (spelling?) was pitching for the Yankees, and they were hosting the California Angels. It was a doubleheader, and the weirdest thing happened between games: Bob Sheppard intoned into the microphone for everyone to join in singing “Back In The Saddle Again” as California Angels owner Gene Autry, all decked out in a cowboy suit, rode a horse onto field and trotted the horse around the infield! He was holding his cowboy hat real high as he was riding, naturally! A lot of the crowd of New Yawkas appreciated it because they were old enough to remember Hoppy, Gene, and Roy as kids, going to matinees. And to be honest with you, that was the first time I had ever heard that song! Of course, “With Every Heartbeat I still Think of You” is from “Faded Love” by Bob Wills and His Playboys, and it’s a song that you told me that you got pretty sick of while growing up in Texas and Oklahoma! “Please Help Me I’m Falling”– Great classic Hank Locklin honky tonk song from the 50s or early 60s—- Love that song. “Don’t Worry About Me”— Wow, talk about a classic! Thought to be the first song recorded with that fuzz guitar sound! Marty Robbins with a great vocal! “I’ll Have To Go”, be back later. I remember Terri Clark’s version of “Poor, Poor Pitiful Me” so it seemed a natural. And “Trailers for sale or rent” is from Roger Miller’s “King of the Road” while “One by one they’re turning out the lights” is from a Jerry Lee Lewis number titled “Another Place, Another Time.” And I liked your first foray on YouTube. I thought that “One by one they’re turning out the lights” might have been from the Willie Nelson song, “The Party’s Over.” Well, the party’s over for the Yankees, and I’m happy about that. And of course, everybody (well, almost everybody) knows that “Trailers for sale or rent, rooms to rent fifty cents, no car, no pool no pets, I ain’t got no cigarettes!” is from “King Of The Road”! Roger Miller was one of a kind the way he could play around with those lyrics. He was a clever guy. The 2015 season didn’t end exactly as some of us expected. Seasons rarely do. Injuries are the usual biggest factor and this year they hurt many teams with bigger plans. Surprises (top of mind) for me: Angels not going further (perennial observations); the A’s lousy record; the Nationals’ blah season; Mark Trumbo’s mid-season troubles; Ian Desmond’s struggles. Hats off to those who had really big years – Dee Gordon, Jose Altuve, Greinke, Kershaw, Bumgarner, Arrieta, Posey, Cabrera, Trout, Starling Marte, … The list goes on. There are some really good ball players on the rosters these days. By now, I guess we should know that for the most part, we can expect to see worn paths from the bullpens starting in the 5th or 6th inning. I don’t care for that so much, but that’s the way it is. The shift still confounds me. 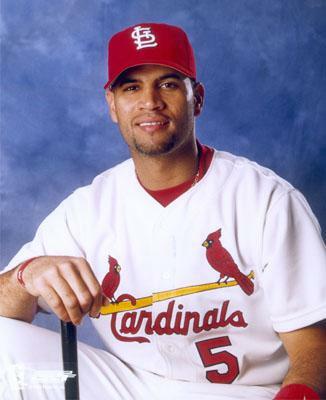 It’s very odd how it stymies a future hall-of-famer like Pujols. It seems to me that guys like Carew, Brett and Rose would relish hitting against the shift. They would go 4-4 game after game. First to worst goes that manager Matt Williams. I wonder how many times that’s happened?